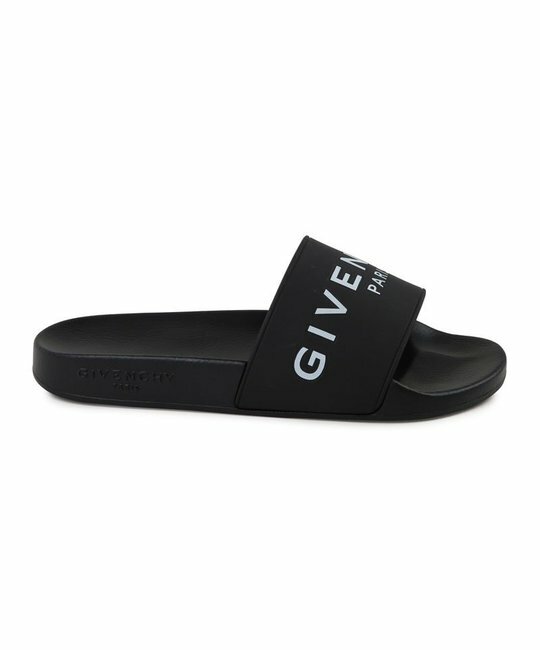 Givenchy black ‘mini-me’ slides with embossed logo detailing. Sold with bag. Made in Italy.